I looked outside and the rain was pouring! 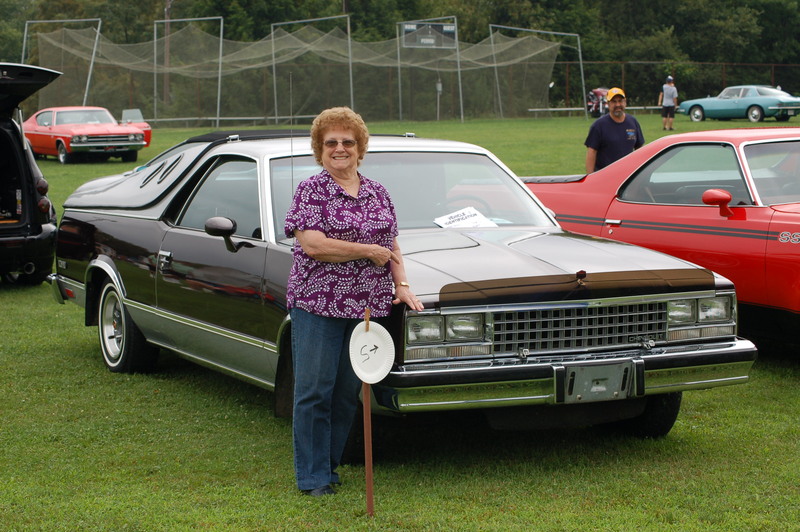 I thought, oh no, Mom, my step father, Bob have already left for Elderton, Pennsylvania for a judged car show. I was planning on going up to show support. First, however, I needed to stop by their house and pick up a few things. The rains continued during the five-mile travel and I waited at the house anticipating their return at any moment. The hour went fast as I noticed the rain stopped. They hadn’t returned from the show. I began wondering if the rain could have possibly avoided them. I left for Elderton! Sure enough, the farther east I drove the less evidence of rain. I thought how much work Bob did to the 1954 Chevrolet Bel-Aire and the 1985 El Camino. Both vehicles are, almost, complete and original. 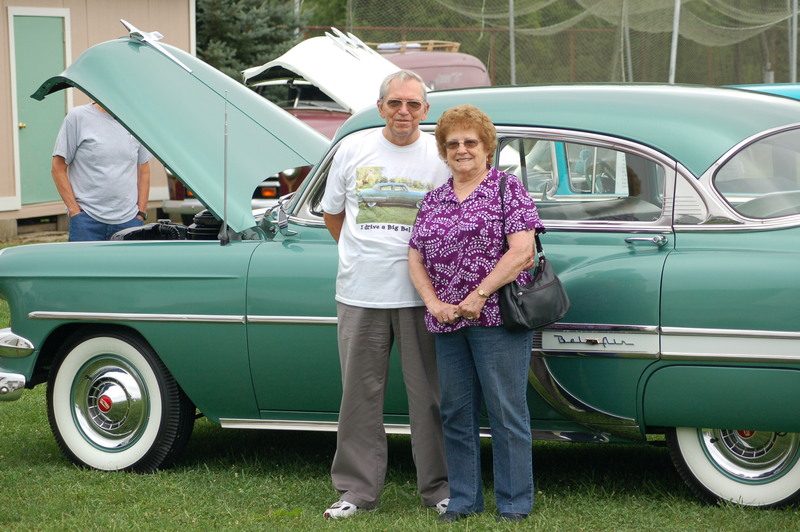 The El Camino was driven by my mother, Ruth (Smail) Miller and, of course, Bob handled the ’54 Chevy. I walked across the old high school soccer field looking over the old cars and I finally saw the two cars. I enjoy old vehicles. Some of these are restored and some, but fewer, are original. Some vehicles are all “spruced up.” By this I mean the vehicles have lots of non-original features to enhance their looks. I spent several hours with the two and watched two judges spend about twenty minutes looking the Bel-Aire over. Finally after sprinkles threatened the event off and on, the rains began in earnest. I decided to head towards my car and go home. A couple of hours later the phone rang and an excited mother announced both cars received first place in their divisions! WOW! Congrats to both Bob and my mother! Now Bob has something to do this week… clean the cars!